When you create an Account, we may collect personal information from you, such as your name, phone number, company name, industry, job title, company size and email address. If you create an Account using your login from a third-party account, such as Google, Facebook or Twitter, we will access and collect the personal information about you that the third-party account provides (which is based on your privacy settings with the third-party account), so that you can log into your Account with us. We use your contact information to send you information about our Services and communicate with you about your Account, your activities on our Site and Services and policy changes. You may unsubscribe from receiving certain types of these messages through your Account settings, although Bitly reserves the right to contact you when we believe it is necessary, such as for administrative and account management purposes. One feature of the Services is the ability to create shortened uniform resource locators (URLs) of websites (“Bitly Link” or “Bitlinks”). Users can create Bitly Links without registering for an account. When you create a Bitly Link, Bitly collects and stores both the original URL and the shortened URL and, if you are logged in to your Account, we will associate that information with your Account. Bitly also collects and stores your IP address, your location, which we derive from your IP address, the time and date on which you shortened the original URL, and if you share a Bitly Link on a social networking platform, the name of the platform and your username on that platform. When you visit the Site, we automatically collect (i) your IP address and location derived from the IP address; (ii) the referring websites or services; (iii) the time and date of each access; (iv) device settings, such as browser type, operating system, and language; and (v) cookie information. This type of data enables us and third parties authorized by us to figure out how often individuals use parts of the Site so that we can analyze and improve them. Bitly may use third-party APIs and software development kits (“SDKs”) to provide certain functions in our Services. Some features of the Services allow you to share your content and Bitly Links through your accounts with other companies such as Facebook and Twitter. If you choose to connect Bitly to such Third Party Services, we may collect information related to your use of those Third Party Services, such as authentication tokens that allow us to connect to your Third Party Service accounts. We will ask you for permission before you authorize our collection of this information. We will only use that information for the specific reason for which it was provided to us. We may also collect information about how you are using the Services to interact with those connected Third Party Services. Note that Third Party Services may have the ability to restrict the information that is provided to us based on your privacy settings of that account. To enable us to infer the location from the IP addresses of computers or devices that visit our website or click, view or interact with Bitly links as described in this policy, we receive IP-based location information from our third-party service provider. We also receive business contact information of our business customer contacts and prospects from our third party service provider. Bitly cookies also allow Bitly to track when you have clicked on a Bitly Link. Each click of a Bitly Link is tracked using a unique identifier assigned to you in one or more cookies stored by your web browser and associated with Bitly. We may associate the unique identifier in our cookies with the other information we automatically collect when you use the Services, as described above, including your IP address, Bitly Links you click, Bitly Links you create, and information with your Account if you have one. Most browsers have an option for turning off the cookie feature, which will prevent your browser from accepting new cookies, as well as (depending on the sophistication of your browser software) allowing you to decide on acceptance of each new cookie in a variety of ways. If you disable cookies, you will not be able to use some features of the Services. You may ask Bitly not to associate your web browser or IP address with visits to the Bitly.com website or Bitly Links that you create or click by clicking on the appropriate links below. If you would like to opt-out of the Bitly Links, please click on the opt-out choice for Bitly Links below. This will install a cookie on your browser that instructs our servers not to associate your IP address and browser with Bitly Links you create, click or view. If you clear your cookies in your browser, you will need to click on the opt-out choice again after each time you clear your cookies. To be clear, these cookie-based opt-outs must be performed on each device and browser that you wish to have opted-out. Cookie-based opt-outs are not effective on mobile applications. However, on many mobile devices, application users may limit tracking via their device settings. Please note that if you use these opt-out mechanisms, will still automatically collect the IP addresses of computers or mobile devices that click on or create Bitly Links; we just won’t associate them with your browser or Bitly account. We do not knowingly collect personal information from children. If we learn that we have collected personal information of a child under 13 (or older as required by applicable law), we will take steps to delete such information from our files as soon as possible. We may use the information we collect to make inferences that a unique individual has created or interacted with Bitly links on different devices so that we can to detect, deter and prevent malicious, fraudulent or unlawful activity and analyze how users use our Services. For example, if you created a Bitly link on a computer connected to your residential WiFi network, and you soon thereafter clicked on a Bitly link on a mobile device connected to the same WiFi network, we may infer that a single individual created and clicked on the Bitly links because both events were associated with the same IP address in the same time period. We also may use personal information to pursue legitimate interests, such as direct marketing, research (including marketing research), network and information security, prevention of fraudulent, malicious and unlawful activities, or any other purpose disclosed to you at the time you provide personal information or allowed by law. The Services are designed to help you share information with others. In addition, we provide Services to our Customers that use Bitly Link Metrics. As a result, some of the personal information generated through your use of the Services is shared publicly or with third parties as described below. Much of your activity on and through the Services is public by default. For example, when you create a Bitly Link, the original URLs you have shortened and the corresponding Bitly Links are publicly available. Where permitted by law, if you register a Bitly Account with an email address on a domain owned by an organization, (for example, an employer or educational institution where you have an email account), we may share your email address and information about your Account, such as the number of links you have created, with that organization to explore the organization’s interest in creating or managing an enterprise account or for related purposes. When creating a Bitly Link, you can share that Bitly Link through Third Party Services. Any information that you elect to distribute through Third Party Services, such as a social network post you create, may then become accessible to users of those services. You can also access other Third Party Services through the Services, for example by clicking on links in the Statistics page for a Bitly Link. We recommend that you review the terms of services and privacy policies of such Third Party Services that you access through the Services since Bitly does not control and is not responsible for the privacy practices of these Third Party Services. We may employ and contract with third parties to perform certain tasks on our behalf and under our direction (our “Service Providers”). We may need to share information about you with our Service Providers in order to provide our product with research and analytics on user behavior and to provide advertising products and services to users, to process payments, and to provide email marketing and support services. Our agreements with these Service Providers authorize them to use your information only as necessary to provide services to us. Transfers to subsequent third parties are covered by the service agreements with our Clients. We may transfer and/or provide information about our users in connection with an acquisition, sale of company assets, or other situation where user information would be transferred as one of our business assets. You will be notified via email and/or a prominent notice on our website. In such a case, the acquirer of Bitly may continue to use your information as set forth in this policy or as otherwise allowed by law. We will share information about you when you instruct us to do so, such as when you share Bitly Links or content with others through the Services or if we notify you that the information you provide will be shared in a particular manner and you provide such information (like sharing/posting it with a third-party Service). Bitly, Inc. is responsible for the processing of personal data it receives, under each Privacy Shield Framework, and subsequently transfers to a third party acting as an agent on its behalf. Bitly, Inc. complies with the Privacy Shield Principles for all onward transfers of personal data from the EU and Switzerland, including the onward transfer liability provisions. With respect to personal data received or transferred pursuant to the Privacy Shield Frameworks, Bitly, Inc. is subject to the regulatory enforcement powers of the U.S. Federal Trade Commission. In certain situations, we may disclose personal data in response to lawful requests by public authorities, including to meet national security or law enforcement requirements. The information you provide may be transferred, processed and/or accessed by us in the United States or another country where we (or our service providers) operate. Your Account information is protected by a password for your privacy and security. You can prevent unauthorized access to your Account by selecting and protecting your password appropriately, making use of two-factor authentication, and limiting access to your computer and browser by signing off after you have finished accessing your Account. Bitly endeavors to protect the information it collects about its users using industry-standard security processes and controls, however, despite these efforts, no security measure is perfect or impenetrable and Bitly does not guarantee or warrant that such measures will prevent unauthorized access to the information about you that is stored by Bitly. In the event we experience a breach of security, we will promptly notify you if your personal information has been compromised, in accordance with applicable law. If you have any questions about the security of your personal information, you can contact us at support@bitly.com. You don’t need an Account to create Bitly Links, and you can use many of the features of the Services without registering, thereby limiting the type of information that is collected about you individually. Bitly acknowledges that you have the right to access your personal information that we collect and are able to associate with you. If you have a Bitly Account, you may access, correct, or request deletion of your personal information by logging into your Account. Once logged in to your account, you will be able to view a history of the URLs you have shortened and the metrics pages for those URLs. You can request a complete copy of the personal information we store about your account by clicking the Request GDPR SAR Report button in your Account Settings. For more information on how to request access to your information, please see our help article. You can delete your Account at any time through your Account settings page. If you delete your Account, you will no longer be able to access or use the Services. 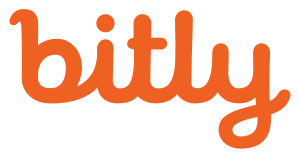 If you have an Account but are unable to access it, you can contact us at support@bitly.com. We will respond to your request within a reasonable timeframe. In certain circumstances, we may be required by law to retain your personal information. If you do not have a Bitly account, Bitly has no way of identifying you or verifying that you created or clicked on a Bitly link. Please note that in the interest of ensuring that existing Bitly Links continue to function for all of our users, the Bitly Links that you have created and shared cannot be deleted or disabled (even if your Account is deleted), and any shortening and sharing activity that has already occurred on your Account also cannot be deleted. If you have concerns about any unauthorized use of your Account, you can delete your account within your Account settings. Please see the Cookie section above for additional choices you may have. If you are located in the European Economic Area, you have the right to lodge a complaint with a supervisory authority if you believe our Processing of your Personal Information violates applicable law. If you have any questions or concerns regarding privacy using the Services, please send us a detailed message to: support@bitly.com. We will make every effort to resolve your concerns. You may also contact us at 139 Fifth Avenue, 5th Floor, New York, NY 10010.